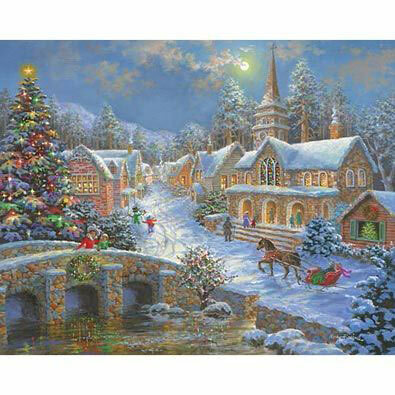 The colorful lights of Christmas fill the village with a welcoming glow in this festive jigsaw by artist Nicky Boehme. This item measures 24" x 33". Available in two piece counts. Fireworks Symphony is a 1500 Piece Jigsaw Puzzle featuring a photographic collage. The night sky is ablaze with explosive color of an entire night's worth of fireworks explosions captured in a single composite image. This must have been a heck of a show! Available in two piece counts. • Fireworks Symphony measures 24" x 33"